EU-funded scientists, who have been working to create the next generation of robot-enhanced therapy, report that a partially autonomous, emotionally intelligent social robot could assist children with autism spectrum disorder (ASD) enhance their social skills. More often, therapists use animated characters or puppets to assist children with ASD learn to recognize and express emotions. It appears that children with ASD prefer interacting with non-human characters; however, the disadvantage is that these props do not interact, cannot respond to the children’s behavior, and need intensive input from the human therapists. Roboticists, computer vision researchers, psychologists, ethicists, and cognitive scientists involved in the EU-funded DREAM project are helping to demonstrate that small social robots could support children with ASD. They are confident that their platform will assist these children to engage in interactive play and enhance their social skills, with the ultimate goal of realizing improved real-life social interaction with other people. Remote-controlled robots have already been developed to be suitable for this purpose. 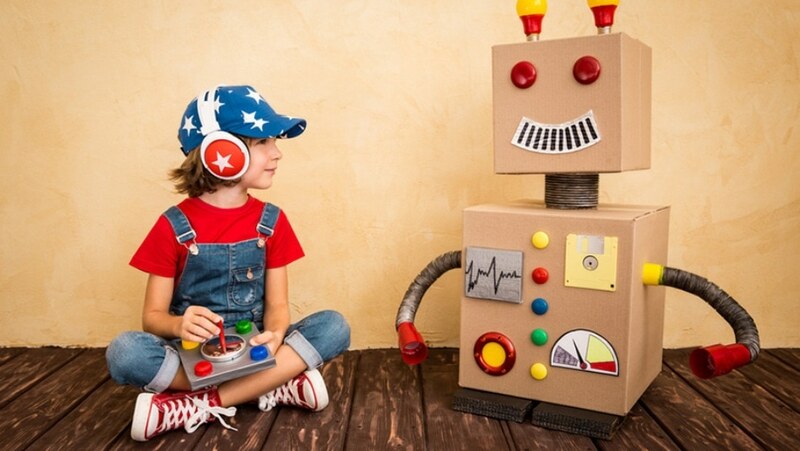 However, the project has been moving toward a smarter and more autonomous robot that is capable of interpreting the demands and emotions of children, and act on that basis to assist them practice skills such as joint attention, imitation, and turn-taking. The DREAM robot platform should even be in a position to monitor and record the behavior of the children. This next-generation strategy—named robot-enhanced therapy (RET)—will help free up therapists for other tasks. Experiments assessing the usefulness of robot-enhanced therapy compared to standard therapist-assisted interventions have delivered promising preliminary results. The project is currently carrying out the world’s first large randomised clinical trial on the use of social robots in this type of psychological therapy. Tom Ziemke, Project Coordinator, University of Skövde, Sweden. As part of the DREAM project, the humanoid, child-sized NAO (an autonomous, programmable humanoid robot), produced by Softbank Robotics, has been adapted and modified. This is the robot most widely used in research and education across the globe. It is equipped to identify and recognize pre-learned objects, words, faces, and sentences, and has the ability to communicate using an advanced voice synthesizer and LED lights. Researchers involved in the DREAM project have been programming NAO with software that will capture and investigate sensory data from the children—such as their gaze, movements, facial expressions, gestures, and tone of voice. The goal is to enable NAO to find how to engage children so that it will be in a position to automatically adapt its behavior to gain their attention further, when required. Another aspect important for the success of the project is the development of “smart environment” technologies. The researchers predict that during therapy sessions, the NAO will sit beside the child and the therapist at DREAM’s custom-made sensory table. The researchers have also been creating a multi-camera system that links the robot to motion-sensing, high-resolution cameras that are capable of tracking and measuring facial expressions, movements, and interactions of the child with the robot. This environment is being created as an add-on to the sensory capabilities of the robot by equipping it with information that would otherwise need highly sophisticated perceptual and cognitive capabilities. Naturally, there would be concerns related to responsibility, safety, data use, and trust when it comes to employing partially autonomous robots to interact with children. Who is responsible for the behavior of the robot? Do parents trust the robot with their children? What happens to the data collected by the robots? The researchers have been taking such matters seriously by putting together ethical restraints and existing laws into the development and testing of their technologies. The project has recently been extended by six months, so we’re currently running some additional clinical evaluations. We’re also organising two more international workshops – one on the ethical aspects of using robots for therapy. Designers and engineers from the technical side of the project are working in close collaboration with ethical researchers and therapists to guarantee that the robot is absolutely appropriate for clinical therapy. The outcomes of the study are contributing to more extensive knowledge on robot ethics and the ethics of human-robot interaction.